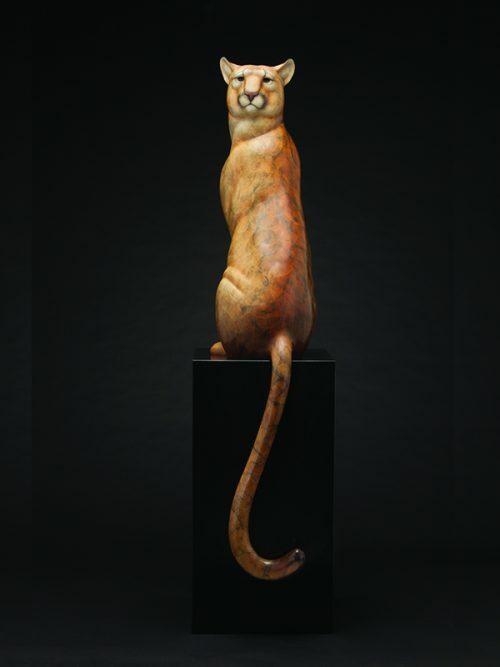 And if that's not enough, we can sketch the National Sculpture Society's exhibition "A Blessing of Animals" inside the cathedral. LOCATION: 112TH STREET AND AMSTERDAM AVE. Note: we will meet on the front steps at 10:30. Everyone will draw where they want to and meet again at 12:30 for lunch by the Peace Fountain just south of the building. Below is the schedule for the next 2 months for the Weekday Urban Sketchers group meetings. Please enter the dates on your calendar. Meeting information will be posted two days prior to the event. Week of July 24, 2017 Chicago Symposium NO MEETING THIS WEEK. 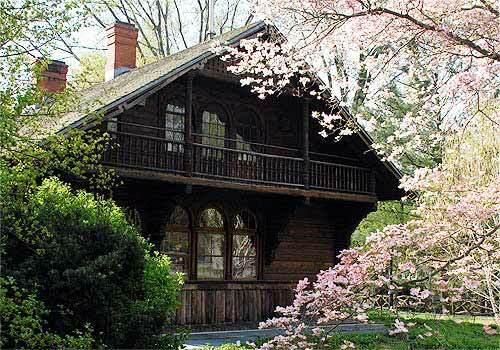 Tuesday August 8, 2017 Central Park "The Grotto"
Join us for a day of fantasy in the middle of the city: horses, castles, and hidden storybook cottages right in the middle of Manhattan. In the "round of visits" to the carousels of NYC, this week we will be going to the iconic carousel in Central Park. Following lunch we will walk up to the beautiful Belvedere Castle and exit the park past the Swedish Cottage to complete our day of a a story book fantasy. TRANSPORTATION: A, B, C , D, 1 to Columbus Circle. 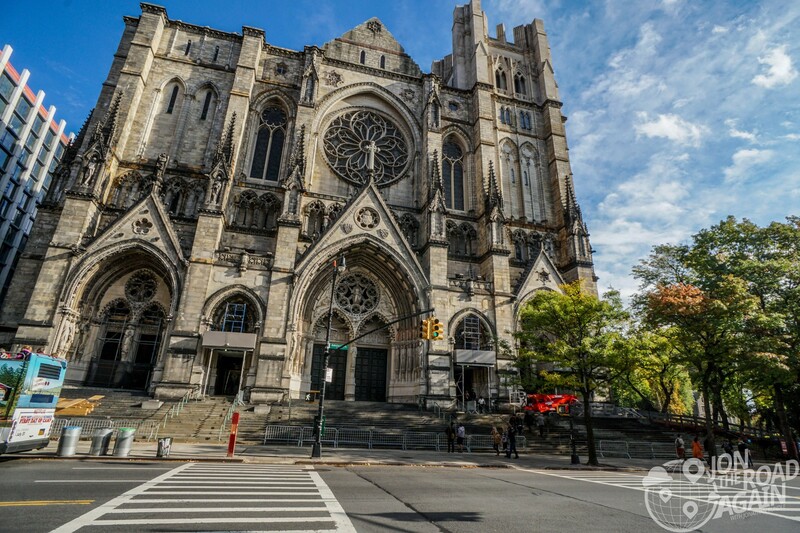 Walk along Central Park West to 65th St (Tavern on the Green) then walk east to the Carousel. 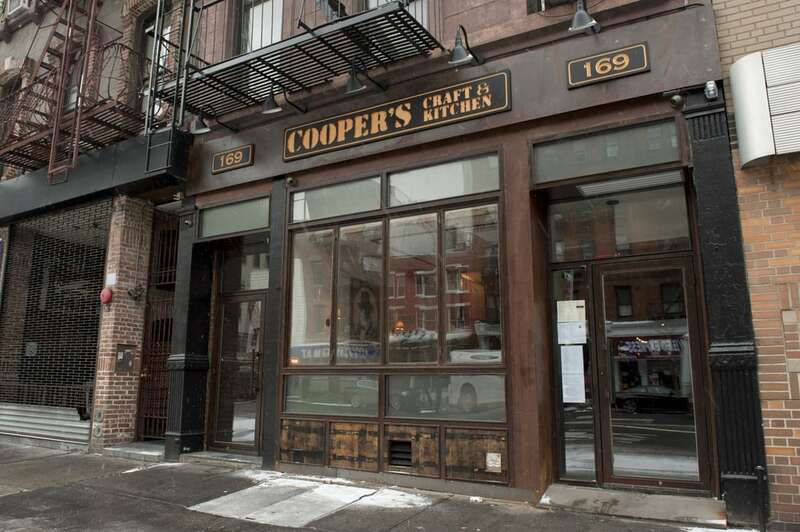 Where: 150 West 17th Street Between 6th and 7th Avenues. Meet at 6th Avenue, which will be less crowded. Most of the action takes place at the 7th Avenue end of West 17th Street. Lunch: 12:30. Meet in front of the Museum entrance. Bring your own, or purchase from Vendors and stores. There is also Café Serai in the museum - the perfect place to enjoy the aromas and flavors of the Himalayas. Afternoon: 1:30 Back to sketching the Street Fair and the Museum. Show and Tell: 3:30 Meet at the entrance to the museum and we’re off to Cooper’s Craft & Kitchen, 169 8th Ave, b/t 18th St & 19th St, ( Phone number (646) 661-7711) to share drawings, good stories and a beer or wine if you're so inclined. What could be better than sketching the beautiful floral settings at the NY Botanic Gardens? Oh..... the NYBG with Chihuly glass sculptures! What more can be said?? Bring a stool, some lunch and a hat. 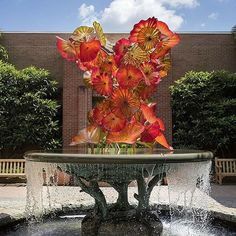 Entrance is free on Wednesdays.There are many Chihuly installations throughout the garden. However if you want to go inside the hot houses there is an entrance fee for those exhibits. 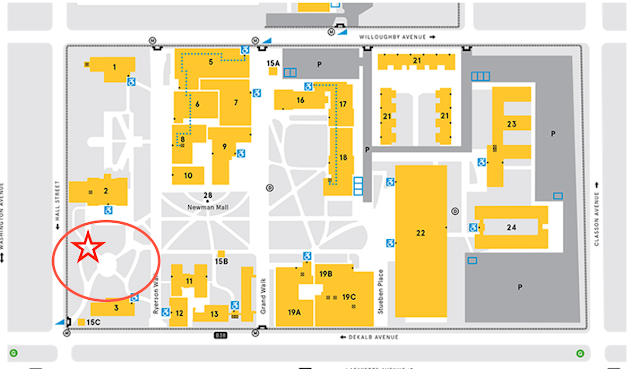 Note: we will meet inside the East Gate Entrance. See directions below. DIRECTIONS: Take the 2 train to Allerton Ave. station. From the station exit: Walk three blocks west on Allerton Ave. Turn left on Bronx Park East and walk two blocks to Waring Ave. At the park entrance, walk up the small hill leading directly to the Garden’s East Gate. If you want to drive there is parking available. Check the NYBG web site for directions. Please RSVP to Raylie Dunkel at raylie@verizon.net. Looking for us? Text or call Raylie at 201-978-6387. 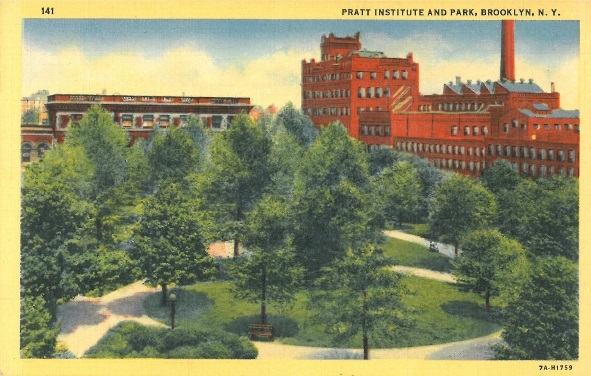 Located in Brooklyn’s Clinton Hill area around tree lined streets and brownstones, the Pratt campus at 200 Willoughby Ave, is a lovely sketchable park-like enclave. It’s the only art school in NYC with their own campus and it’s a pretty common site to see people drawing there. We will spend the day there. Start time: 10 AM: There is a lovely little park area near the entrance at Dekalb Avenue and Hall Street. There are benches and an old canon there. That’s where we will meet. Lunch: Noon. Bring your own for an outdoor picnic, or buy food locally. There are two decent diners and REALLY good pizza just across the street from the Main Gate at DeKalb Ave and Hall Street. Afternoon: 1 PM Back to drawing. Show and Tell: 3 PM. TBD - Mekelburg's 293 Grand Ave or at Castro’s Mexican - 511 Myrtle. We will share drawings, good stories and a snack or refreshments if you're so inclined. 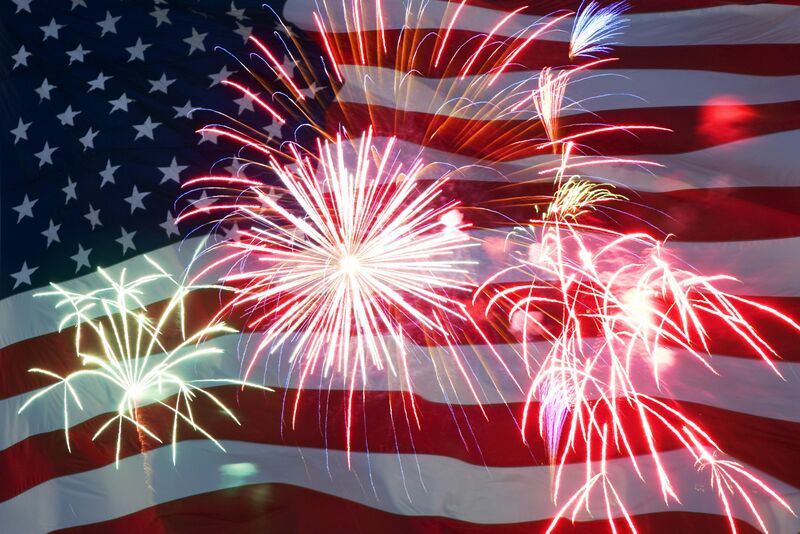 Wishing everyone a happy and fun filled July 4th holiday. There will not be any Weekday Urban Sketcher event this week. 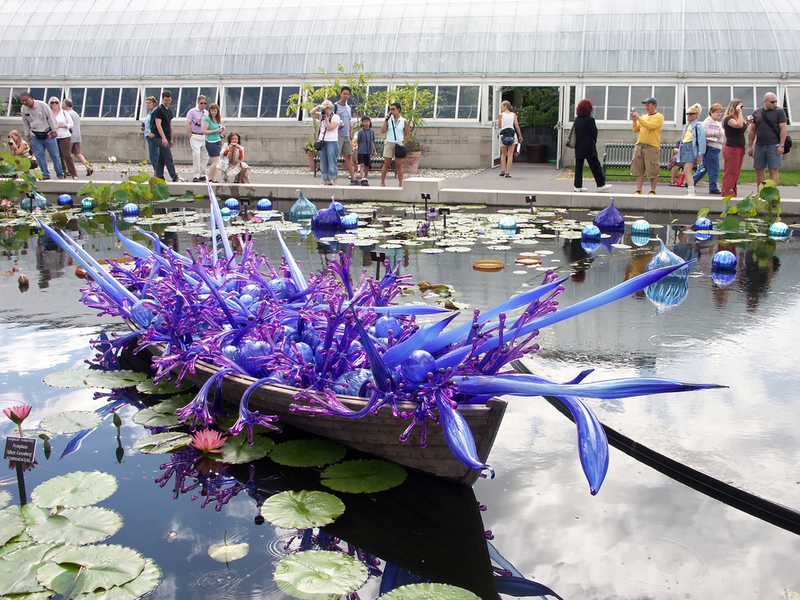 BUT.....save Wednesday July 12th for our next outing to New York Botanic Garden to sketch the Chihuly exhibit. Details will be posted soon.